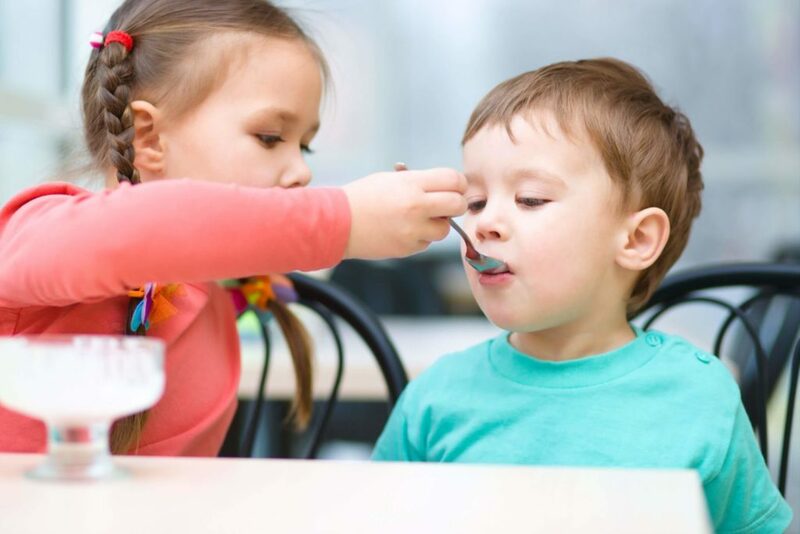 Children with feeding and swallowing difficulties may present with a diverse range of symptoms requiring mealtime management. Difficulties can relate to trouble sucking, chewing, moving food and fluid around the mouth, managing their saliva or swallowing. Children may have difficulty transitioning between textures or using equipment such as bottles, cups or cutlery. A child may have difficulty picking food up, or keeping their lips closed to keep food in their mouths. Some children may have restricted food and fluid intake, and may present as picky eaters or fussy eaters. At EarlyEd, our trained Speech Pathologists will conduct a comprehensive assessment as part of an experienced feeding team which may include an occupational therapist and/or physiotherapist. We also work closely with dietitians, dentists, behaviour support practitioners and other professionals. Dysphagia refers to difficulty with feeding and/or swallowing. It is a symptom, not a disease. Oral phase dysphagia refers to problems using the mouth, lips and tongue to control food or liquid. Pharyngeal dysphagia refers to problems in the throat when swallowing. Dysphagia may lead to aspiration (where food or liquid gets into the lungs). This may present as recurrent pneumonia or chest infections requiring antibiotics. Dysphagia can affect a person at any age − from infants to the elderly. Discover how Early Learners can help your child get ready for learning at preschool and childcare. Speech pathologists are experts in helping children to communicate, and can also support with feeding. EarlyEd programs to help you learn skills to use in your daily life now and for years to come.